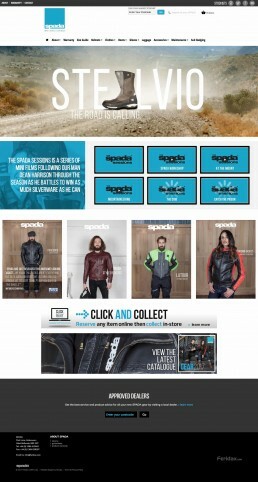 Web design and build for the motorcycle clothing brand SPADA. 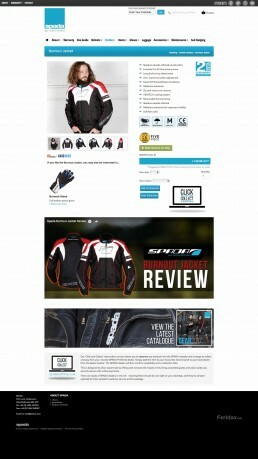 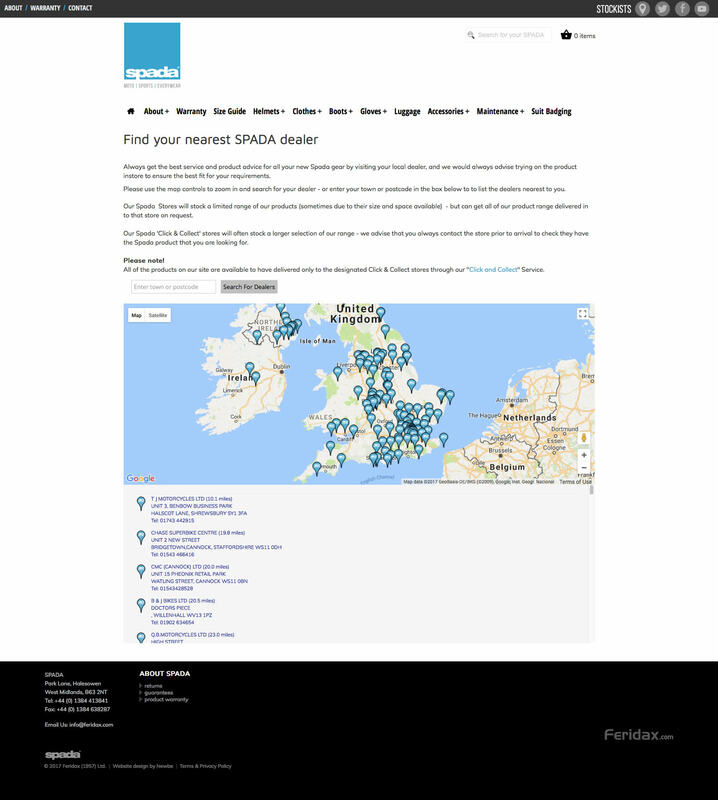 The site included a local dealer search function and online store where users could browse the full range of products. The CMS is scratch built with an image media manager and product linking function. 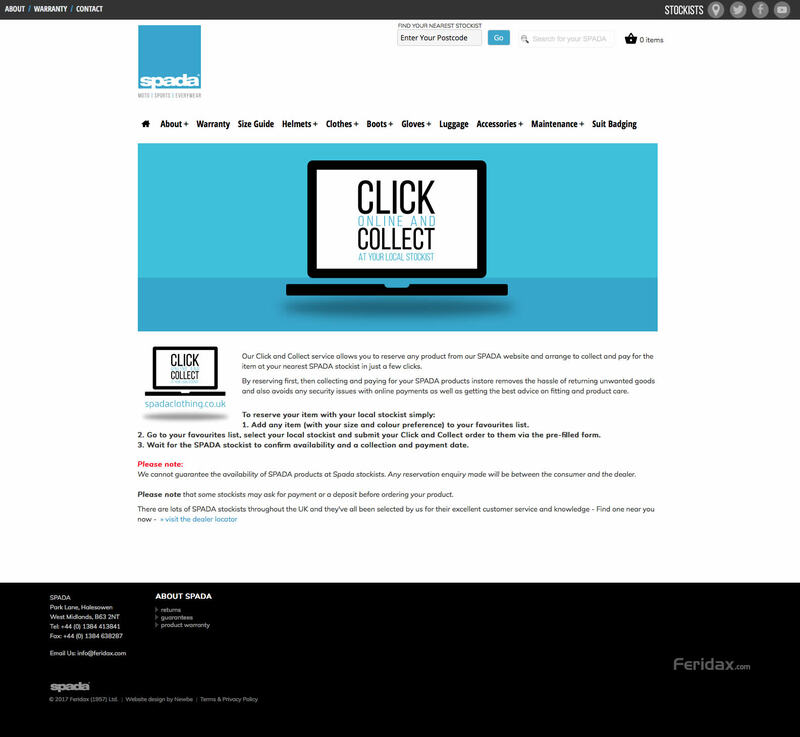 The checkout procedure is a ‘Click & Collect’ function for users to send enquiries to a local store to check availability and to arrange a time for collection.